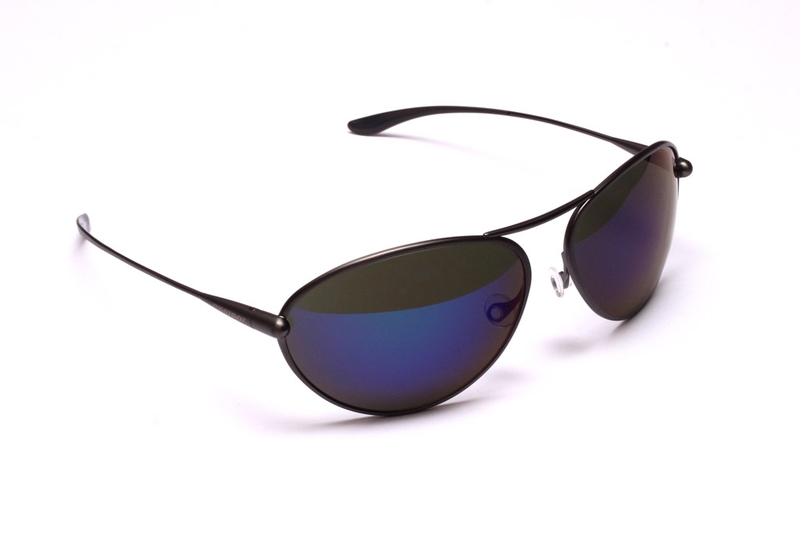 Tropo refines the iconic 'Aviator' look of the past sixty years to create a modern classic. The Zeolite Polarized HCNB lenses dramatically reduce glare from sand, snow, sea and other reflective surfaces, improving the contrast and definition of the image. 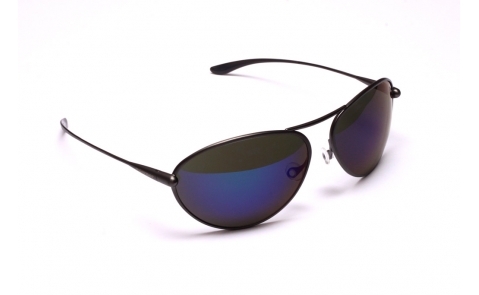 The frame colour is gunmetal, a dark grey, and the lenses are finished with an iridescent blue mirror. 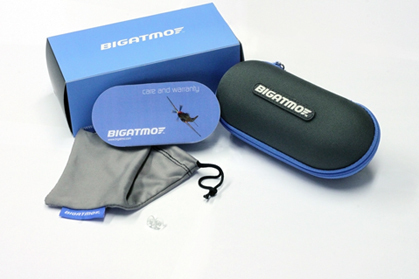 The nose pads are fully adjustable for a customised personal fit, and the ear tips grip without pulling hair.